While at work, not long ago, one of my colleagues and I were talking about the "famous" or should I say "infamous", depending on which side your on, Steven Spurrier's Judgment of Paris in 1976. "The Paris Wine Tasting of 1976 or the Judgment of Paris was a wine competition organized in Paris on 24 May 1976 by Steven Spurrier, a British wine merchant, in which French judges did blind tasting of top-quality Chardonnay and Cabernet Sauvignon wines from France and from California. California wines rated best in each category, which caused surprise as France was generally regarded as being the foremost producer of the world's best wines. Spurrier sold only French wine and believed that the California wines would not win." At that time Steven Spurrier owned a small yet quite successful wine store on the "rue Royale" called "Les Caves de La Madeleine" where he encouraged his customers to taste wine before buying them. He also was the instigator and creator of "(l')Academie du Vin", one of France first private wine school. To keep it short and to resume the all story, he was a fairly reputed British wine connoisseur and wine merchant who wanted, surely by curiosity but also as a tool to increase his popularity and the sales in his shop, to taste the quality of the newer and up-and-coming wines from California against the already worldly established quality of the French wines and especially the reputation of the red Bordeaux and white Burgundy, thinking that California will have little to none chance to win. Steven Spurrier's Paris 1976 tasting raised some controversy amongst winemakers, producers, estates owners, journalists, wine critics and quite a few connoisseurs on both sides of the Atlantic. 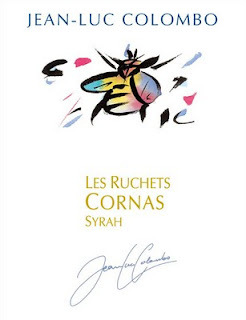 The French pretty much ignored the all story, didn't necessary believed in the final results and especially and surely didn't thank Mr. Spurrier for breaking the myth of the superiority of the French wines (in France, we are quite "chauvin" - stubbornly proud - about our local products). While the American really appreciated the final results and the free publicity that suddenly put the wines of Napa, and California in general, on the map of the serious wine producing regions of the new world, outside of the leading wine regions of France, Italy, Spain, Germany and more generally Europe. Moreover, this wine tasting changed the world's view of California wines forever (and the price of the wines too, from nearly one day to another. Since then, due to the results obtained by the American wines at the end of this tasting, the price of the best Californian wines have been decided and attributed by the winery's owners depending on the market price of the best French wines from Bordeaux mostly for reds and Burgundy for both whites and reds). It all started because Spurrier's "l'Academie du Vin" school was a hangout place for the English and more especially the Americans who worked in Paris and were eager to learn more about wine. More specialized in French wines, Steven was quite intrigued by some of the California Cabernets and Chardonnays his students brought by the shop and the school. Curious to see how these newcomers would fare against French wines made from the same kind of grapes, he arranged a blind wine tasting in celebration of the American Bicentennial activities in Paris. The French tasters chosen for the event had impeccable professional credentials. # 8 - 1972 Domaine Leflaive Puligny-Montrachet 1er cru "Les Pucelles"
However, these ratings slightly changed at the end of the tasting when they decided not to take in consideration and not to include the notes of Patricia Gallagher and Steven Spurrier, thus leaving only the French judges ratings. Blind tasting was performed so that none of the judges knew the identity of what was being tasted. The judges were asked to grade each wine out of 20 points. No specific grading framework was given, leaving the judges free to grade according to their own criteria. Rankings of the wines preferred by individual judges were done based on the grades they individually attributed. An overall ranking of the wines preferred by the jury was also established in averaging the sum of each judge's individual grades (arithmetic mean). In my opinion, these tastings were great to point out the fact that high quality wines can be found else where than in France; also great to counter the arrogance and the aristocratic attitude of the French in many ways; but it was also great to pinpoint Napa Valley and California on the map of the serious winemaking regions in the world outside of Europe. But in my real and honest opinion, I do not like these type of tastings. Blind tastings are great when you try to define a wine not to compare a wine. Defining a wine by blind tasting makes you think and increase your censorial memory regarding the color, smell and taste of the tasted wine. It is a hard game that only few of us excel in, but if you can guess the varietal, the type, region of origin, the vintage and the winery or producer (for the best of us), then it is exciting and personally rewarding in many ways. Blind tastings to compare wines of the same varietal coming from different regions of the world are in my opinion absurd and do not prove anything, and especially not the quality. It might delineate the differences in color, smell and taste due to the region of origin and other factors, but not the quality. More especially not which one is better than the other? Better for what and because of what? Bland tastings to compare should only be for wine of the same varietal and same region of origin or appellation, not from different country! Now, if we really try to analyze these tasting, we will realize that they were totally unfair and surely didn't prove anything in the end due to different non-negligible factors. The quality of the tasters, their credentials and their palates have nothing to do with what I'm about to tell you about these tastings. I will try to dissect the different factors which should have been taken in consideration and which created some much controversies and hot discussions about the subjects. May be it will help you to better understand my opinion about them. How can we decide to compare Californian, and more especially Napa Valley wines with French Bordeaux and Burgundy wines when there are so different in style and character due to their respective region of origin and the different type of soils, climates, Terroirs and vinification methods that deeply and drastically influenced their respective taste? That is in my opinion, the first question that Spurrier should have ask himself, especially as a wine connoisseur and wine retailer. Wine is a capricious being that continue to evolve, grow and age in the bottle and that is easily influenced by its surrounding light, humidity, temperatures, vibrations, odors, etc. 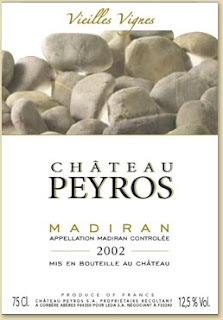 It is also influenced by the quality of the vintage and the winemaking processes used. It is very important before doing a blind tasting or any tastings to verify the condition of storage of the bottles and where they come from. It is known that wine tasting is a subjective thing that depends on too many factors: the time of the tasting (better usually in the morning with no breakfast taken before when your taste buds are fully awake), the condition of the tasting (too much distraction, smell, noise, lack of concentration, preconceived prejudice against the varietal or the region of origin, light in the room, overall temperature inside and outside may also impart the taste of the tasted wines, if it is a sunny day, a rainy day, winter, summer, fall, spring, etc..). 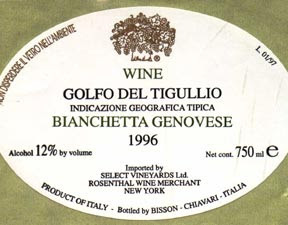 It has also been established many times that comparative and blind tastings, when comparing wines that are not from the same varietal or the same place of origin, are often misleading because tasters will, most of the time, give higher ratings to the riper, fuller or heavier wines, which has nothing to do with their aromatics, flavors, complexity, nuances or depth. More over if the wines have been placed in an order going from the lightest to the heaviest, the heaviest may also receive higher ratings (or worst if too ripe and too alcoholic); if the wines have not been placed in any order regarding their weight, a lighter wine going just after a heavier wine may also get bad ratings and Vice et Versa. Varietal, place of origin or/and appellation and overall profile or weight should also be taken into consideration to conduct a fair blind tasting. Climate, Terroir, type of soil, exposure and vinification system are also very important and dramatically influence the color, smell and taste of the wine. That is why it is usually better to compare the wines from the same appellation. Comparing an orange to an orange from the same region or/and appellation is always easier, especially to define which one is richer or sweeter, etc... Comparing an Orange from Spain and an orange from Florida, will only show you their differences, one may be juicier, sweeter, richer, bigger, etc.. than the other one, but it doesn't mean that it will be better, it just mean that it will be different. "Better" or "Best" is a question of personal taste that is why tasting is so subjective, because everybody has its own taste, and that goes for everything that you see, smell and eat. Whatever you want to compare in life, comparing will only show differences and nuances that will mean different things depending on the person's personal point of view. About the region: Napa Valley is a gorgeous sunbathed valley where it doesn't rain much through out the year and where temperatures can reach quite high during the summer and fall months, which are essential conditions for the perfect ripeness of the grapes. Irrigation is also allowed and methods of vinification differ greatly from those in Bordeaux and Burgundy. Vineyards also benefit of great sun exposure on the hilly parts on both side of the valley. About the region: Bordeaux, especially the Haut-Médoc, is extremely flat, boring, humid and quite rainy overall compared to Napa Valley. Also the wines from Bordeaux are blend and not essentially Cabernet Sauvignon like in Napa. The wines can be quite dry and hard in their youth depending on the vintage and generally not as ripe and extracted than Napa Valley wines. About the region: Burgundy is also tremendously different from Napa Valley. Much hillier than the Médoc, the wines have much more mineral and are more influenced by the type of soils that differ greatly from a village to another and from vineyard to vineyard, whereas in Bordeaux, especially in the Médoc, vineyard soils are quite similar from Saint-Estèphe to Margaux or even lower in Pessac-Leognan, and because the parcels are blended together with different grape varieties, the varietals with the vinification and ageing processes have somewhat more importance than the soil types. Vintage is also an important part of why these type of comparative tastings are unfair, in the Paris Tasting, not only wines were coming from three totally opposite type of regions from 2 different countries, which was already a mistake to start with, but also vintage were different. Vintage is crucial in the taste of a wine, more especially in France where appellations have more restrictions that forbid certain practices whatever happened, which is not the case in California where producers and wineries cab re-adjust their wines in difficult vintage with various methods. However, those are only a few of the non-negligible factors and I could probably write much more about this fascinating subject (may be I'll do it in another post, this one is already long enough), but I think I make my point clear. The Paris tasting was surely an extraordinary experience and open the doors to new point of views and discussions, but I still think that, in my opinion, blind tastings to compare wines from same varietals yet from different regions of origin are unfair and do not prove anything. They will only show differences and nuances, not which one is the best or not, especially with various vintage. And yet what being "the best" really means? Nothing! Because these wines are just different from one another due to different influential factors (the most obvious are cited above). More over, one do not drink with closed eyes under pressure of under-or-over-rating a wine; one mostly enjoy wine with food, family and friends, it is a part of the atmosphere and usually has been chosen to go with the food. The huge, over-extracted, overripe, super oaky, monster wines... are they really the ones that we drink and enjoy over the food? Not really, they are mostly bred for critics and ratings. Whether from Napa, Bordeaux, Burgundy or elsewhere, the ones that most people usually enjoy and drink are the juicy, more harmonious, vibrant, complex, earthy and nuanced wines that express themselves greatly in the glass and with the food and reflect their differences and their Terroir of origin.